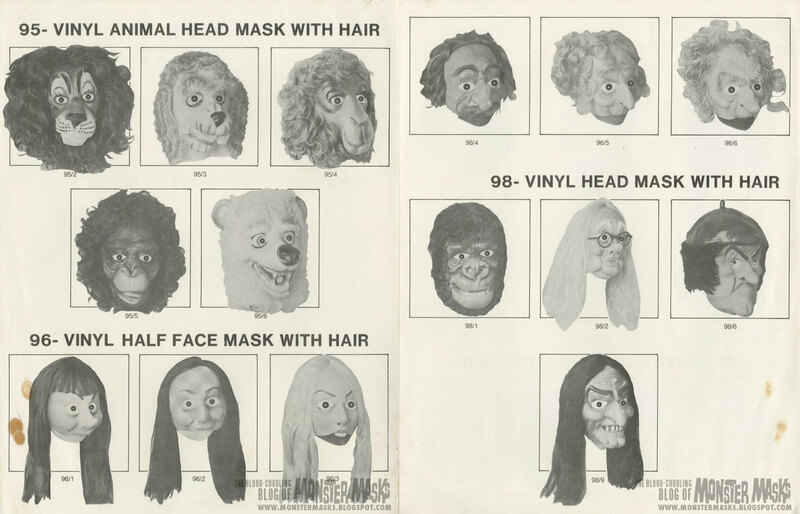 When hunting for monster masks, the Ideal Wig Co mask catalog doesn’t offer lots of quantity, and depending on your tastes, may not offer much in terms of quality either. 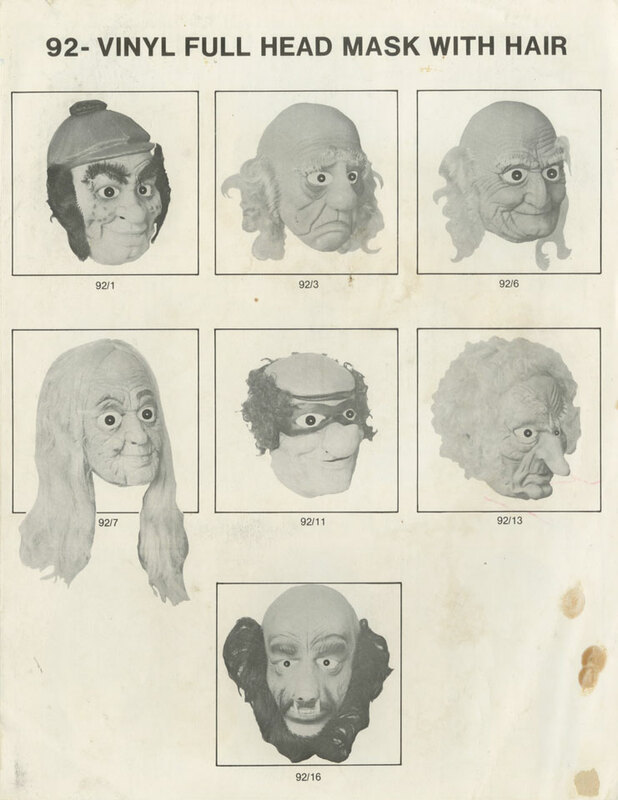 The standard monster & Halloween characters are present in the form of a Frankenstein Monster, Devil, Witch, Hunchback, Clown, a even bearded (but bald) Wolfman. 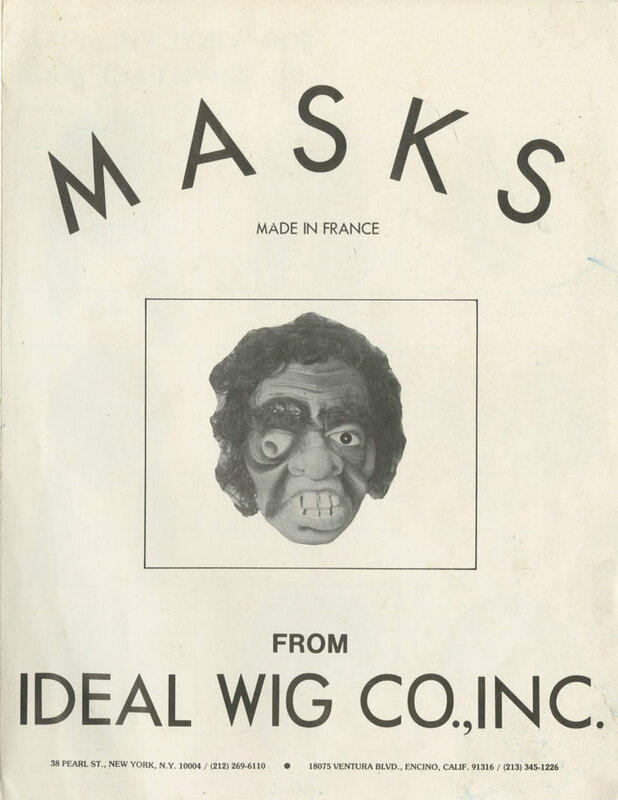 With that being said, I was delighted when I got this catalog a few weeks ago as it answered a personal mask mystery for me in the form of the Devil mask photo. 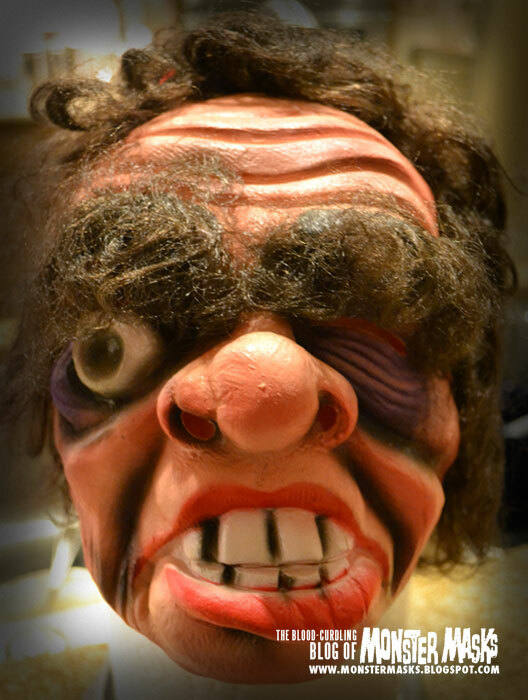 I had found a copy of the Devil mask at a costume store in the mid 90’s. 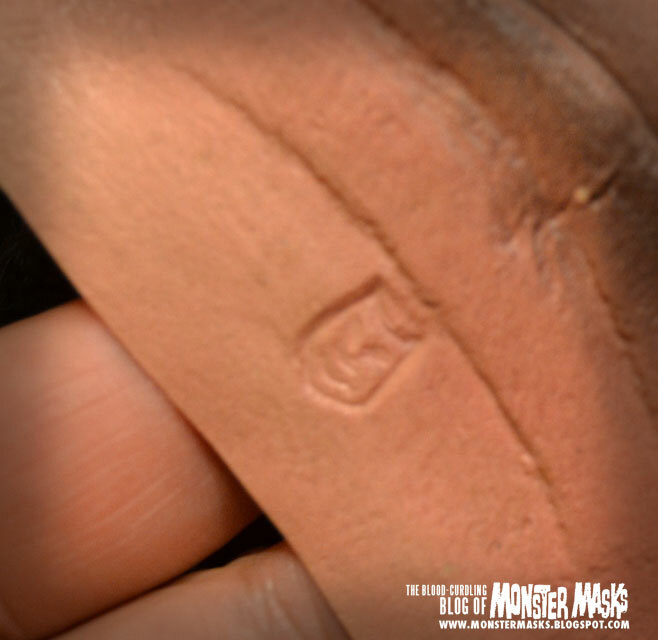 It was obvious at the time that it was old stock, however it had no markings and offered no clues as to it’s origins. All I knew was that it was vinyl, and while very crude, I think it’s a great old-school Devil mask. 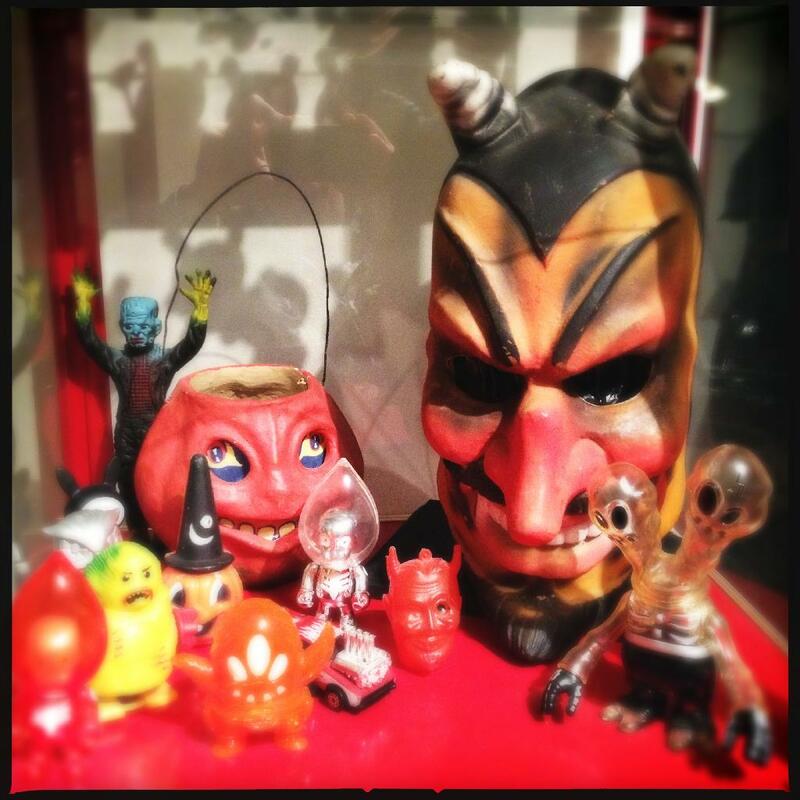 I bought the Devil mask that day and it has remained in my collection ever since. 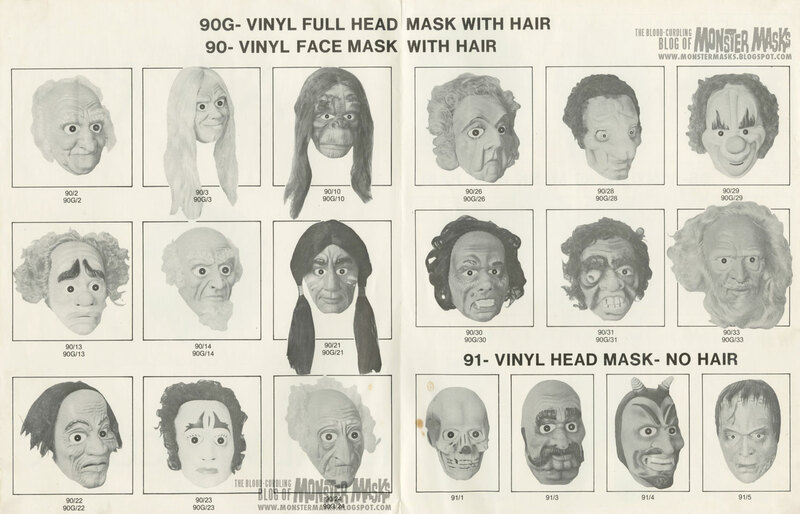 While I don’t know much about the Ideal Wig Co., there does appear to be a connection to Cesar masks from the Masquerade Novelty Co. as the Old Man & Woman masks in this catalog are the same masks that appeared in the Cesar lineup throughout the 80s and 90s.